During the week, I mentioned on the DTLL Facebook page that there was a Mother's Day afternoon tea at my daughter's kinder coming up. And I asked you all what you would take, and there was a fantastic response with so many great ideas. Today, I thought I'd share with you what I took. Like lovely Tessa said, I'm a bit of a health nut. 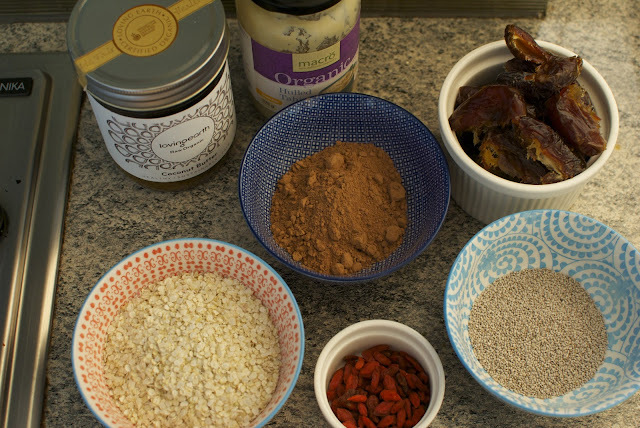 Health and Wellness is what I'm all about and this is one recipe that is both nutritious and delicious. Plus it's gluten, dairy and sugar free. My children LOVE them. 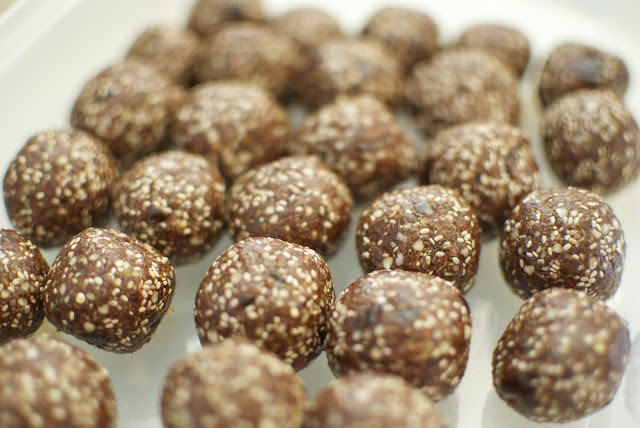 Some people call them Amazeballs, some call them Bliss Balls. I'll call them "whatever balls" because whatever they are, they are GOOD. Now when it comes to these balls, I'm not one for measurements, but for the purposes of a this, I can give you a rough estimate. 1 cup quinoa flakes (make sure it's the flakes and not the grain). 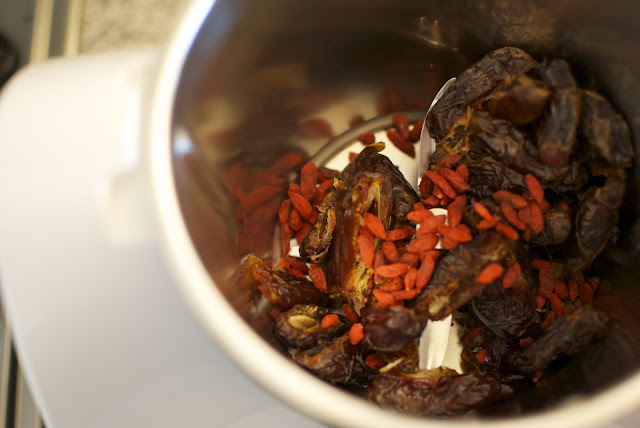 Start by blitzing the dates and goji berries in a food processor (or Thermomix) until you have a bit of a paste. Add all the other ingredients and give it a bit of a blitz until it's combined. Then add the coconut oil and tahini, and give it a final blend for a good few seconds. You want it to be well combined, and easily able to be rolled into balls. 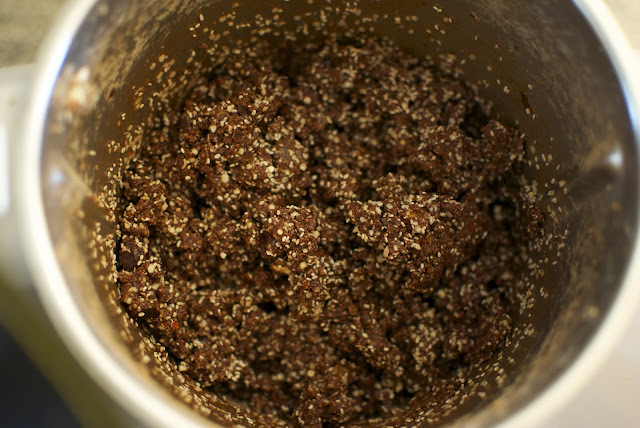 If the mixture is too sticky or wet, add some more quinoa flakes or a couple more dates. 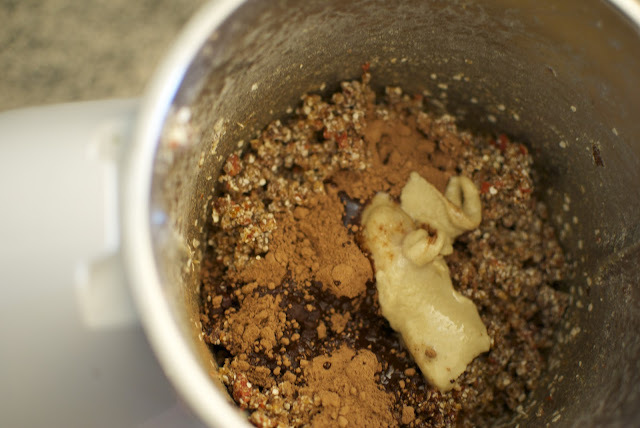 If the mixture is too dry and doesn't roll well, add some more coconut oil. Then roll them up into little balls and pop them into the fridge for about an hour or so to set. They keep in the fridge for a week or two. And I also like to keep some in the freezer for an icy cold treat. The ingredients I used here are always my base. If I wasn't making them for kinder, I'd also add some almonds or macadamias (blend just before the dates). You can also add a bit of raw honey for some extra sweetness, although it doesn't really need it. You could also roll them in coconut. And they work without the quinoa flakes as more of a fudge style treat. 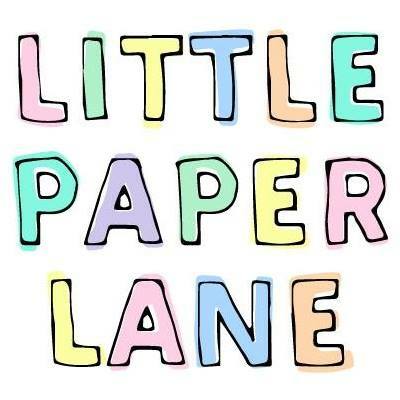 Such versatile little things they are! They are a great treat for the kids and are packed with so many nutrients. 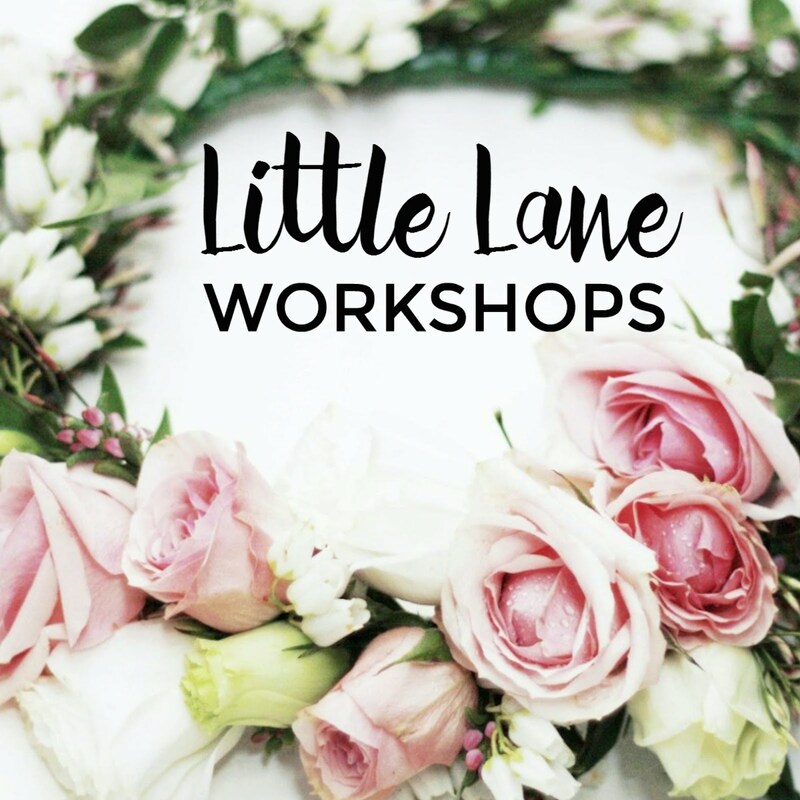 Let us know if you make them, you can tag us over at Instagram @downthatlittlelaneshop. We'd love to see what you come up with. 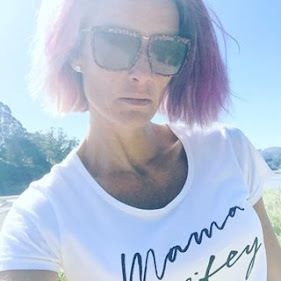 And if you'd like to see some more health and wellness tips, you can find me over on my FB page - Nurture and Shine. Enjoy!! And have a beautiful weekend. That looks incredible!! Might have to add this recipe to my list of 'things to do' this weekend.